SUMMARY: The International Research Network for Low Carbon Societies (LCS-RNet) brought together researchers from both developing and developed countries to consider scenarios and options related to decarbonisation and low-carbon development pathways, as a background to national discourse as well as international scrutiny of NDCs. Recent results were presented by leading researchers and discussed by PR Shukla, IPCC Chair WG III & Antonio Navarra, CMCC, Italy. At the beginning of the session, Dr. Akio Takemoto of Ministry of Environment, Japan and Mr. Silke Karcher of Ministry of the Environment, Germany made oprning remarks. Dr. Takemoto pointed the foresight of LCS-RNet, mentioning some items which are listed in Paris Agreement (PA) had already been discussed in the past LCS-RNet Annual Meetings such as; collateral of world GHG emission reduction through reinforcement and implementation of NDC; calling for action to cities and financial section who are the ones of actors for implementation of PA; combination of finance in developing countries and the capacity development for enhancing the effectiveness of the support; necessity of long-term strategies toward full decarbonisation society. Besides, with referencing the discussion in G7 Toyama EMM which emphasized the importance of enhancement of networks which gether the internatilnal knowledge, he stressed that the role of networks such as LCS-RNet is increasing its importance. He also introduced that committees have launched in Japan to consider the long-term strategeis and Japan started to learn the knowledge and experiences from Germany and France. Responding to Dr. Takemoto, Mr. Silke Karcher from Ministry of Environment, Germany stated that the importance of Scenario studies is increasing and it is essiential to share the outputs of those exercies in order to correspond the future uncertainty. Dr. Shuzo Nishioka of IGES/Secretary General of LCS-RNet presented about LCS-RNet with introducing its charactor (network of researchers for contributing on policy making), history from its establishment to now and the current steering group members. Dr. Stefan Lechtenböhmer (WI, Germany) introdused the process of success of Germany’s Energiewende. He explained that the scinarios for transiton to low-carbon societies had already been started in 1970’s in Germany and variouse stakeholders had developed own scinarios and having consultations among entire society. He stressed that in regard to developing long-term strategies, scenarios are essential as a tool for promoting social-wide discussion and prompting the implementation by various stakeholders. Dr. Christophe Cassen (CIRED, France) pointed out the lack of communication not only between the model community (“modelar”) and outside of the model community (“non-modelar”) but also inside the model researchers’ communities. He introdused CIRED is planning to develop the user-friendly tool whch both of modelar and non-modelar can access easily. He explained this tool is developping in order to promote the comunication between policy maker and modelars, which is expected to become a motivation to activate comunication between modelars and other stakeholders. He also mentioned intercommunion and collaboration are important when developping such type of tools. 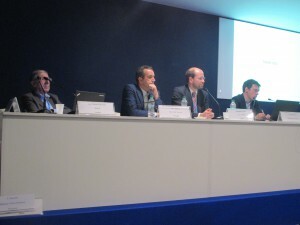 Dr. Luis Gomez Echeverri (IIASA, Austria) presented about “TWI2050”. He stated that TWI2050 considers there are gaps between the current long-term simulation models and realization of some SDGs’ items. He introduced TWI2050’s back-casting approach that considers expected achievement status in 2030 of SDGs for realization of transition to sustainable society. 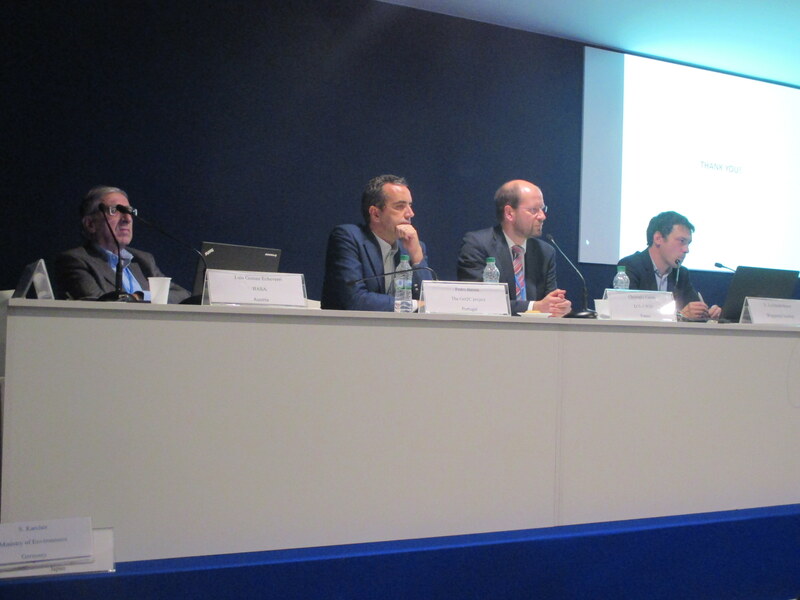 Dr. Pedro Barata from Portugal introduced national low-carbon development roadmap of Portugal. He emphasized the importance of understanding of industry sector that low-carbon development would bring profit to buisiness sector. He mentioned they would liketo proceed this process over the next three years. Dr. Liwayway Adkins (IEA) introduced “Climate Change & Environment: 2016 Insights”. According to his presentation, the scinario developed by 2DS project showed the decarbonization in electlic sector would be promoting by 2050, and the GHG emission from coal power would be almost offset by combination usage of CCS. He also reported the project analysed that in addition to the GHG emission reduction by improving energy efficiency, the transformation of social structure would promote the reduction. As responding the question from audience, he told that because the model studies were now progressing to reflect the actual situation more accurate than before, the highly feasible scenarios would be able to led. In the Panel Discussion, Prof. P.R Shukla (IPCC co-chair WGⅢ) expressed his opinion beased on the experience in IPCC, that the expectations and opportunities of role of science community were becomming bigger because relationship between scientists and policy makers came up to the stage of seeking solution from the stage of understanding the fact of the climate change. He also pointed that studies about absorption source of CO2 such as Land use or Forest would become more important, and in the implementation of the model of national level or local level, to find the cross point of top-down approach and bottom-up approach became one issue recentry. He emphasized that LCS-RNet had been one of the platform of these kinds of synthesizing approach. Prof. Antonio Navarra (CMCC, Italy) continued in the Panel Discussion, that the history of COP itself was the one of scientific approach and academic sector still kept its old constitution, which is not appropreate to solute problems in present-day. He stressed we should promote new tools and efforts so that the different area of expertise would be able to coorperate. In Q&A session, Prof. Navarra insisted that the science has to change its constitution so that they can contribute to solute problems in present societies. In this context, he suggested to transform funding systems, to start the cooperation with communities of similar field and to launch collaboration programs in universities. Prof. Shukla responded the cooperaion programes in university has already started in some universities and we should promote the efforts of cooperation among researchers and organizations both in developing and developped countries which had already been executed through international networks such as LCS-RNet or LoCARNet. For the datails of the Long-term Strategy Workshop, please refer the below link.